Speaking of Barcelona is talking about the Mediterranean Sea and a long maritime tradition that goes back to Roman times. 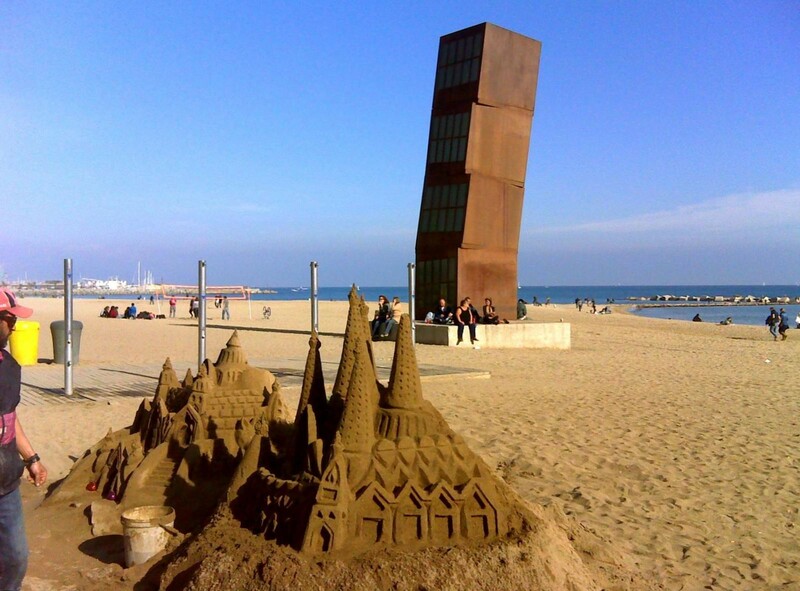 Barcelona has lived from the sea and by the sea. Thanks to that it has always been and will continues to be a meeting place for cultures, a play space open to everyone, with a wide range of resources, infrastructures and activities, suitable for all ages and audiences. For centuries already, Barcelona has been a port city with excellent connections to other countries. On its seafront you will find many locations where you can locate your next photographic shooting or audiovisual production. 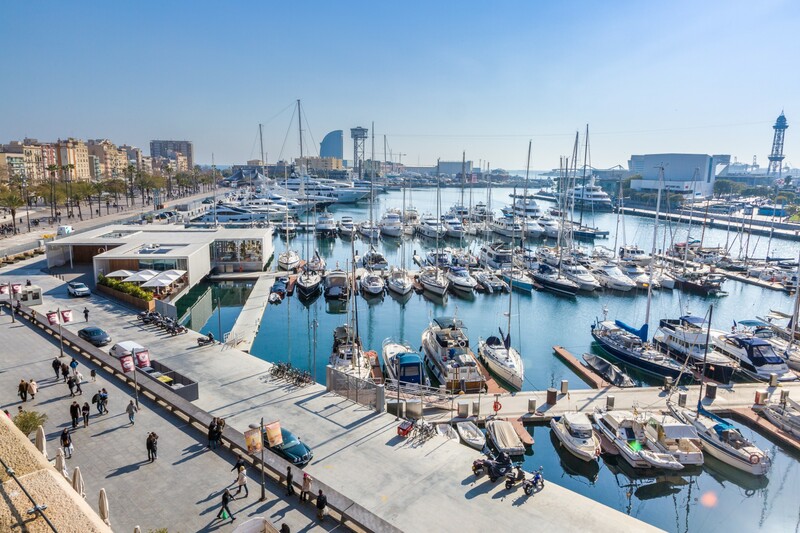 The Olympic Port (Port Olimpic) of Barcelona, built on the occasion of the 1992 Olympics, is an attractive marina located opposite the Olympic Village, between the beaches of Somorrostro and Nova Icària. It is one of the most reputed marinas on the Mediterranean coast and one of the main tourist and leisure centers of the city. It is a pleasant area, ideal to enjoy day and night, full of restaurants, terraces, leisure areas, pubs, nightclubs and commercial spaces. 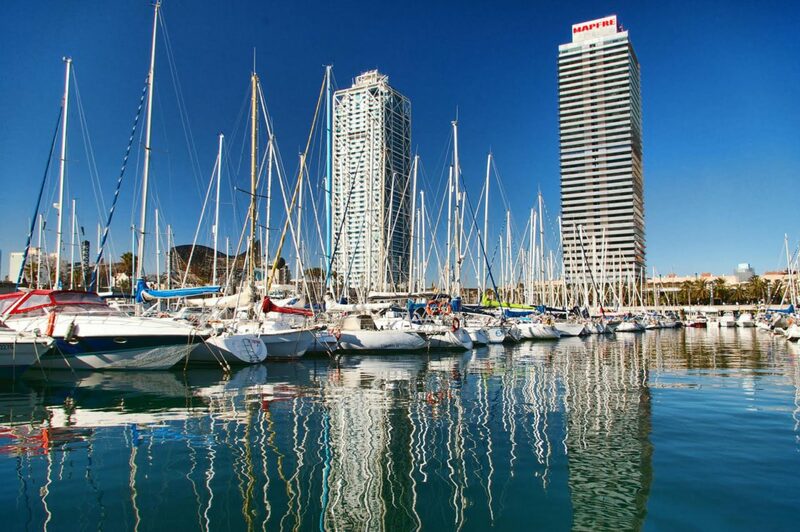 Representative symbols are the two huge towers located next to the sea, the Hotel Arts and the Mapfre Tower, a perfect background for any audiovisual project that wants to mix urbanism and the sea. 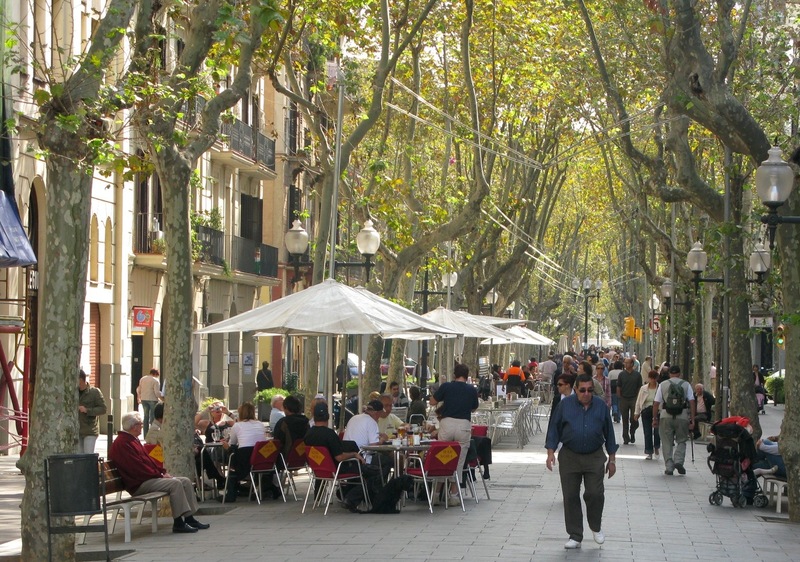 At the end of La Rambla we find the Rambla del Mar, which leads to the Maremàgnum, which has become one of the great leisure and rest areas of the city. It was the first dock of the city where ships could shelter for storms, and it effectively separated the city from the water. Look for the best reflections for your audiovisual productions or ideal photographic shooting. 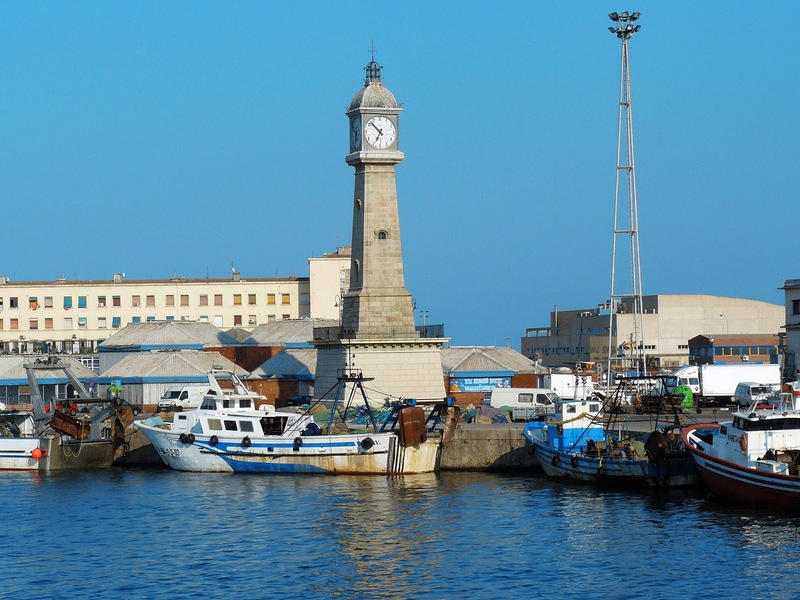 In the Moll de Pescadors offers the Fishermen’s Guild a guided tour to learn about the history of the fishermen of Barceloneta and of the Torre del Rellodge, a true guardian of the port activity of the city since 1772. 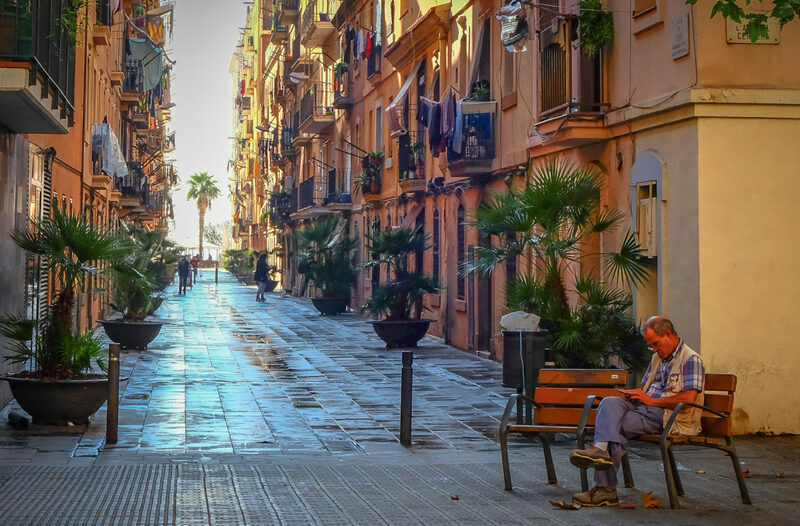 An emblematic point of the relationship of the city with the Mediterranean for your audiovisual project. 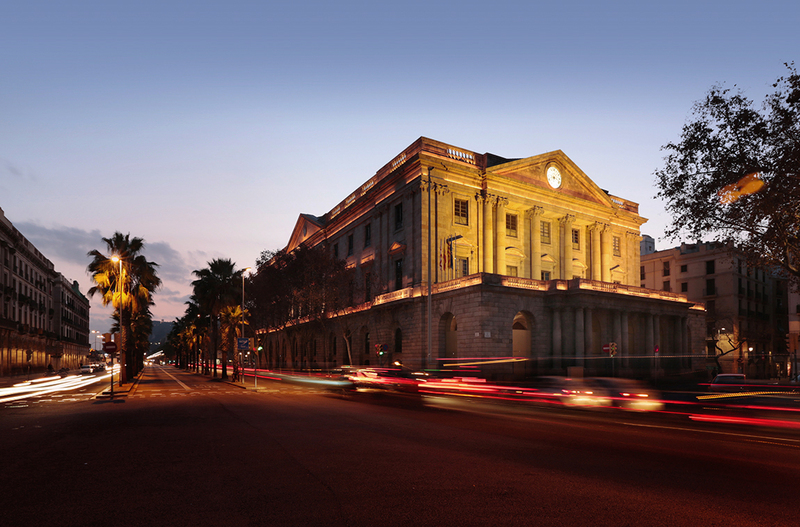 Casa Llotja de Mar, located on the seafront in the historic center of Barcelona, is one of its most significant and splendid monuments, representing the economy and culture of the city. Do not forget to use this fantastic location for your photographic shooting or audiovisual project. La Barceloneta is one of the most popular and charismatic neighborhoods of Barcelona. It is a sailor’s quarter full of magic and history. 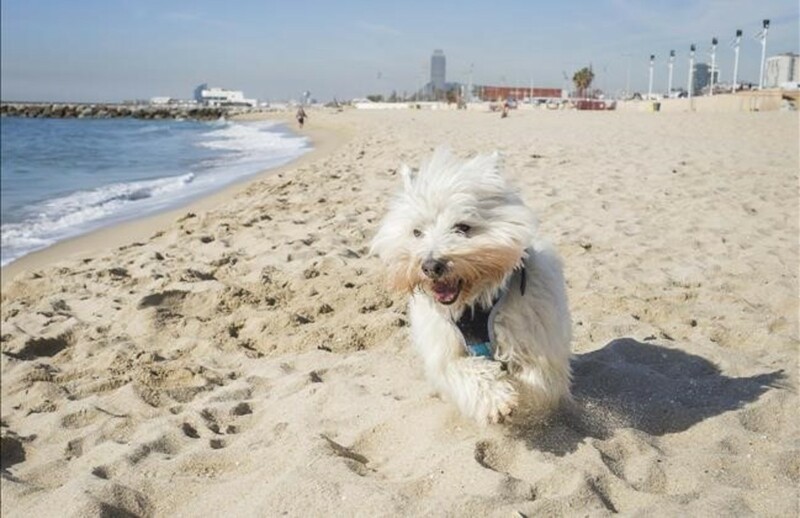 It has a triangular shape and borders on the Olympic Port, the Ronda Litoral and the sea, with the beaches of Barceloneta, Somorrostro, Sant Sebastià and Sant Miquel. The streets of Barceloneta are very pleasant and peculiar, with narrow alleys full of old buildings, churches and places unchanged for almost 200 years. It will be difficult for you to choose only óne location for your audiovisual project. The Poblenou is located in the district of Sant Marti. At the end of the 19th century it was the territory with the highest industrial concentration in the country. With the Olympic Games began the great transformation of this neighborhood, today it takes a new momentum with the 22@ project. Now it is a business and property area next to the coast. The old factories have become lofts and galleries where artists and designers live and work, giving the area a very creative and bohemian atmosphere that you can capture in your audiovisual production or photographic shooting. 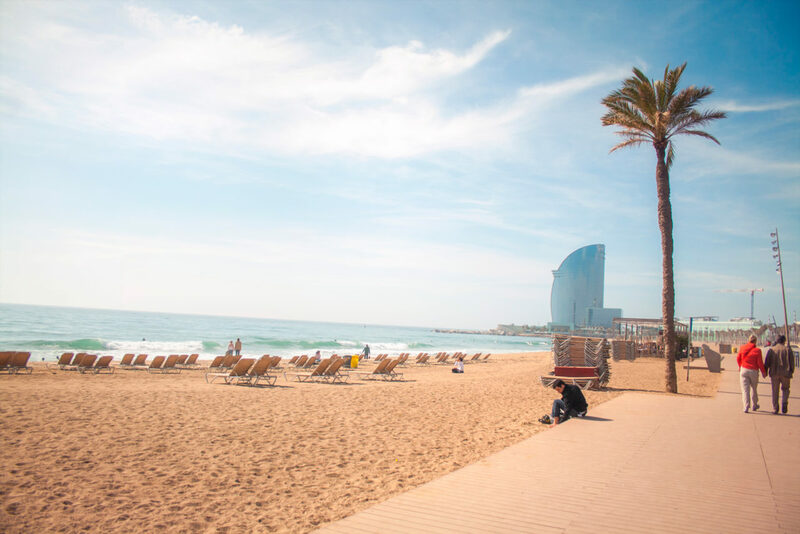 The Fòrum Park, in the Diagonal Mar district, is a large area that has become a meeting point and a venue for multiple events, thanks to its accessibility, versatility and ability to host crowds. It is a large outdoor area facing the sea, with a spectacular photovoltaic pergola, suspended in a forest of very peculiar columns, and it has become a symbol of the commitment to sustainability and the environment. A peculiar and quiet location for your audiovisual project. 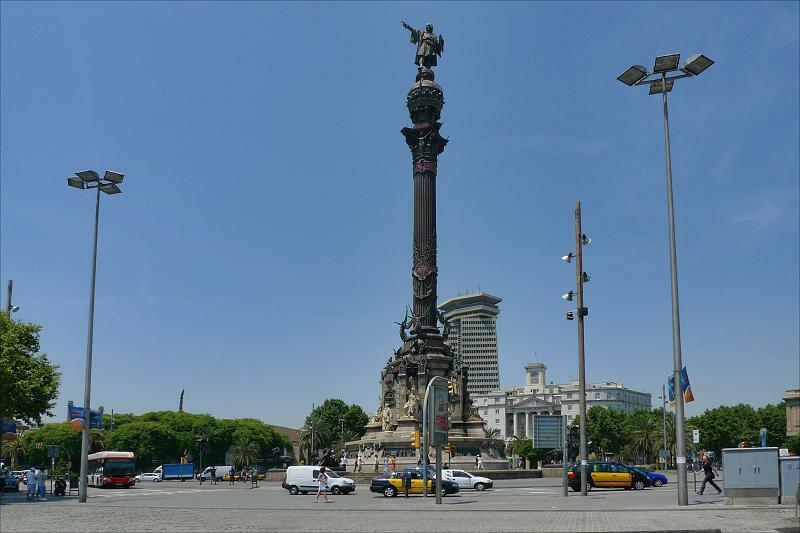 The Monument of Columbus is a striking viewpoint, with a height of 60 meters, located next to the port of Barcelona. It is a huge column in Corinthian style on which the statue of Columbus rises. In the lower part of the column are several sculptural sets related to the discovery of America. It will be difficult to find this location without public, but you can try it. The Aquarium of Barcelona houses more than 11.000 fish and marine creatures of 450 different species and is one of the most important aquariums in the world. 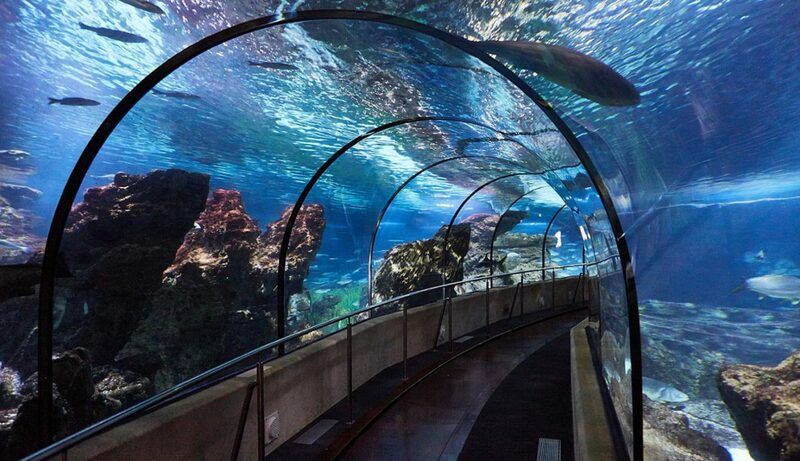 It has Mediterranean and tropical aquariums and an Oceanarium with a glass tunnel of more than 80 meters. A totally underwater location for your audiovisual project. 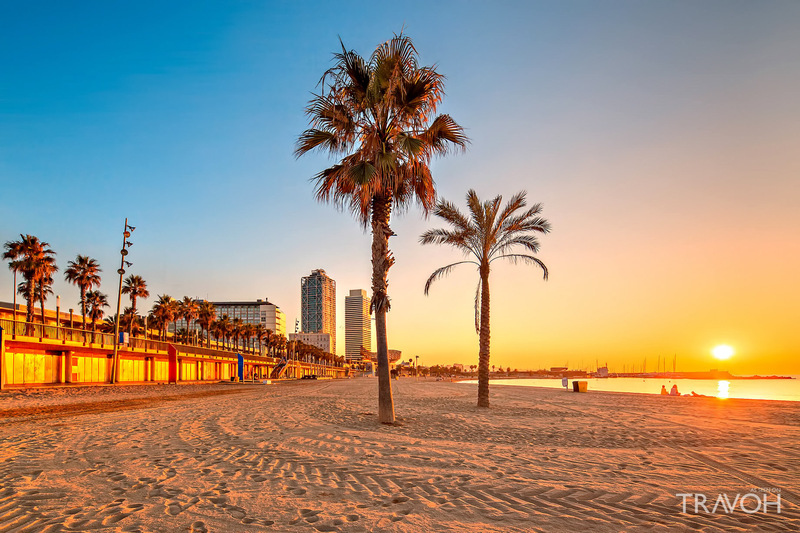 Choose the part of the Barcelona coastline that best suits the needs of your audiovisual production or photographic shooting among the following list of beaches. 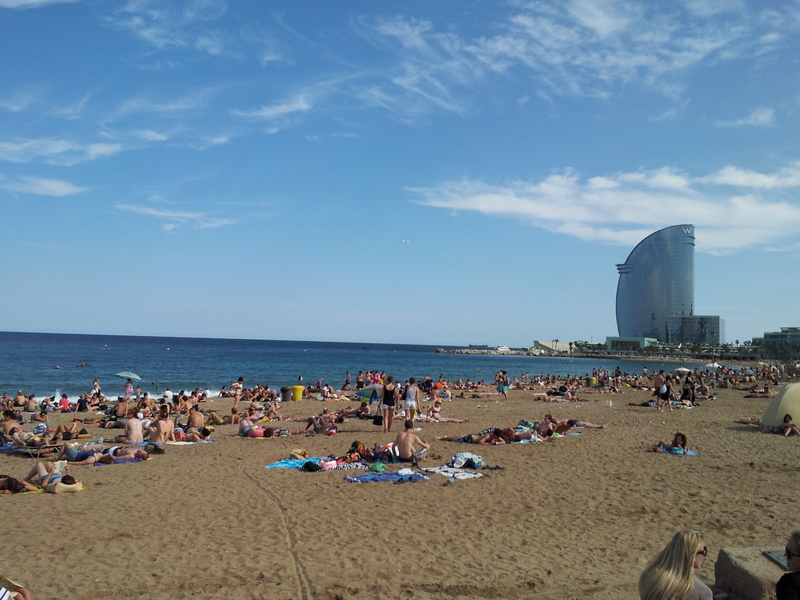 Barceloneta – is, along with Sant Sebastià, one of the largest and oldest beaches of Barcelona. One of the favorites for tourists and young local people who practice sports activities. Somorrostro – Located between Hospital del Mar and Calle de la Marina. The very central location and its convenient access by public transport make it one of the favorite beaches for young locals and foreign users. 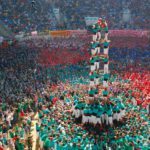 Sant Sebastià – Here you find some of the most important sports clubs of Barcelona. It is a beach frequented by older people and is has some areas for nudists. 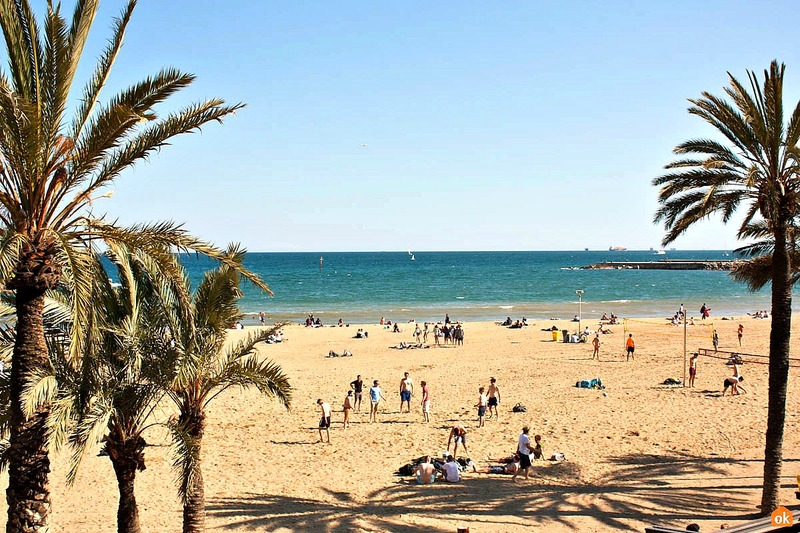 Sant Miquel – This is a central and lively beach that, despite its small size, makes up one of the busiest points of the city’s coastline. 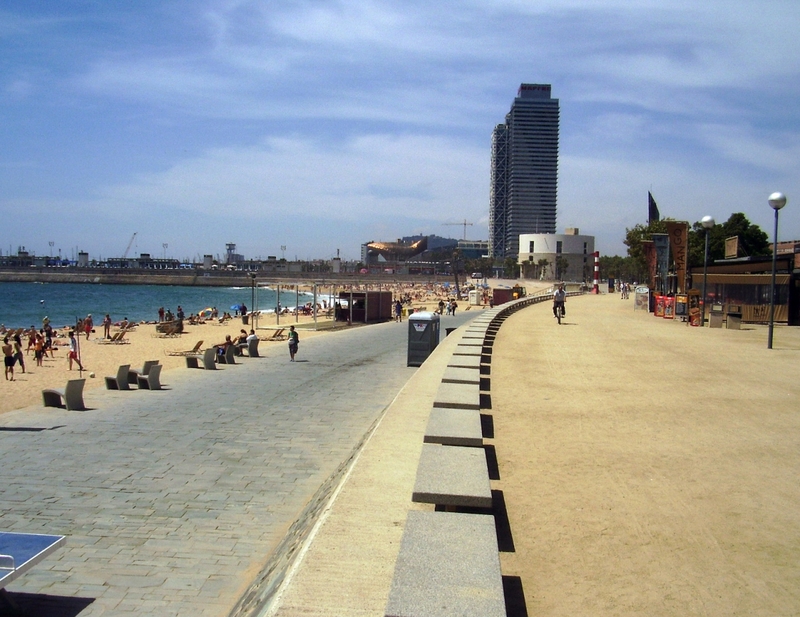 Nova Icària – One of the quietest beaches in the city, usually frequented by families with children and groups of friends. It has a wide range of sports facilities, such as volleyball courts, a playground and ping-pong tables. 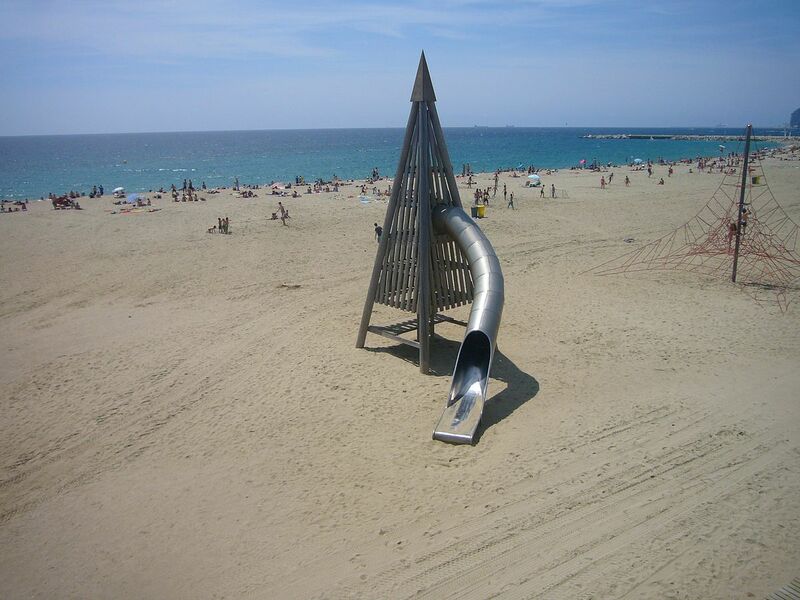 Bogatell – This beach is located between Nova Icària and Mar Bella. 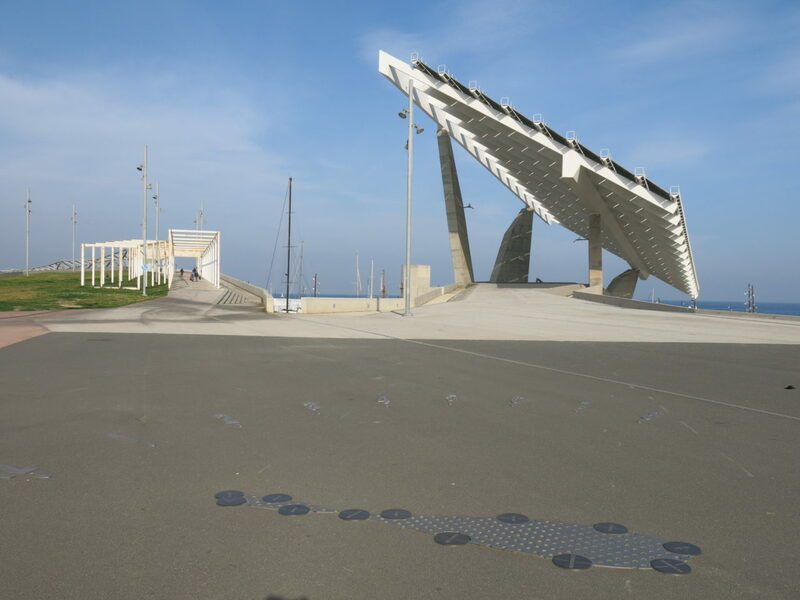 It is the result, like its neighbors, of an urbanism that, with the impetus of Olympic Barcelona in 1992, wanted to bet on the opening to the sea, fully integrated with green spaces, gardens and the surrounding neighborhoods. Mar Bella – This beach is partly a nudist beach, in addition to different sports facilities such as a volleyball court, a basketball court and ping-pong tables. There is also a nautical base from which water activities are carried out. 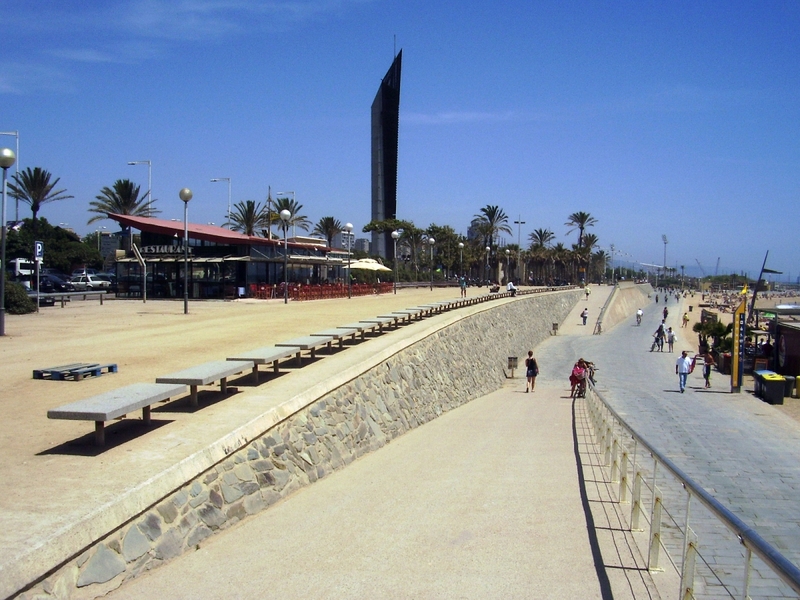 Nova Mar Bella– is created during the urban renewal that took place in Barcelona on the occasion of the 1992 Olympic Games. It has an area in which people with mobility problems can enjoy the sea. 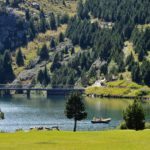 Llevant– is somewhat further located from the city center, so it is possible to find here a quieter environment, less crowded.